This Website Is No Longer Active. 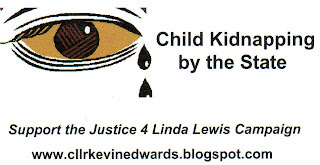 : Britain First promotes the "Justice 4 Linda Lewis Campaign." 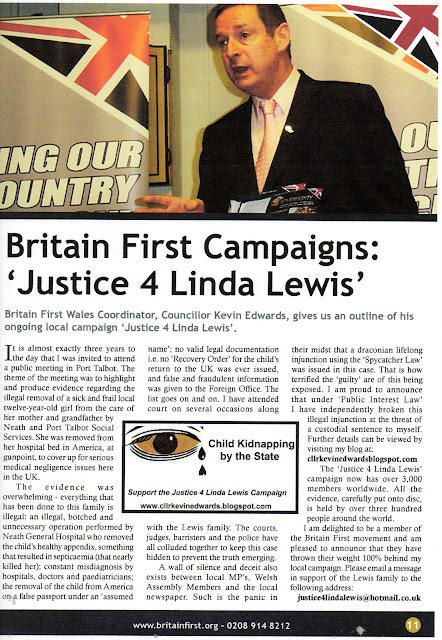 Britain First promotes the "Justice 4 Linda Lewis Campaign." Below is a copy of page 11 of the Britain First Bi-monthly "Sovereignty Magazine" which is currently being sent to the many thousands of members, enquirers and supporters of Britain First worldwide who have registered with us for email updates and literature. Registration is FREE. Anyone who wishes to receive a free copy of the Sovereignty Magazine simply click on the following link and register. 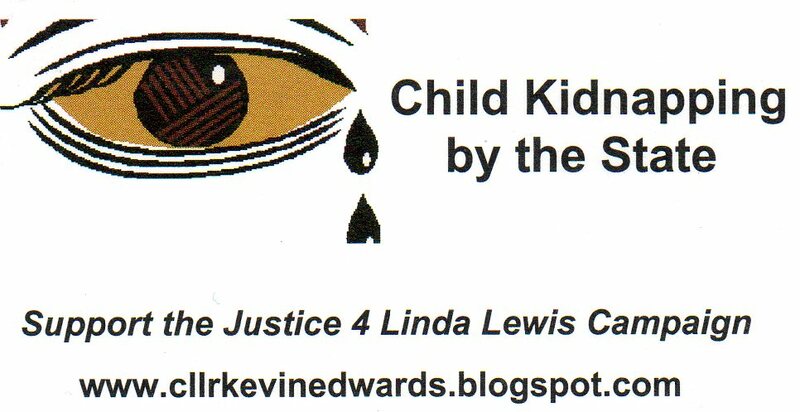 On behalf of myself and the thousands of people who support the " Justice 4 Linda Lewis Campaign" I would like to thank everyone involved in Britain First for their support in promoting and backing this blatant miscarriage of justice against an innocent mother,daughter and family by prominent " lowlifes " in authority, who's misuse of power can only be described as " despicably evil" in it's nature. Many prominent individuals who masquerade as decent, honourable, Christian members of society have been given the evidence and choose instead to do nothing. They will be " named and shamed " at a later date. "Evil flourishes when good men do nothing." Great news for Linda and her family. Its nice to finally support an organisation that puts its money where its mouth is. As you know politicians of all political persuasions are helping to cover up this crime. So well done Britain First. Things are looking better by the day. Moving forward at a good,healthy pace. I think it is fantastic that Britain First has given you incredible support in Linda's fight. You have put up with a lot but have remained steadfast. With all that is wrong in this country you might just be the right choice. A clean and sensible organisation offering hope. Linda,her family and their supporters thank Britain First for all their help. Men and women of principles. Fantastic news for the thousands of supporters of the Lewis family. It is fantastic that an organisation such as Britain First is supporting such a worthy cause. no other political party seem's to be supporting the case. It could be my Child nice to know Britain First is fighting corruption.